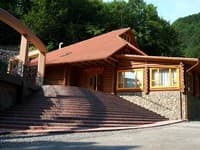 The recreation center "Eldorado" is located in a picturesque corner of sunny Transcarpathia, near the sanatoriums "Kvitka polonini" and "Krishtalevo dzherelo." At guests' disposal are 6 wooden cottages and a hotel building. The guests have double rooms of the category "standard" and "junior suite" in the hotel, as well as one-room suites with a fireplace and furnished terraces - in cottages. Each room of the tourist base "Eldorado" is equipped with comfortable furniture, TV, air conditioning, electric kettle and private bathroom. 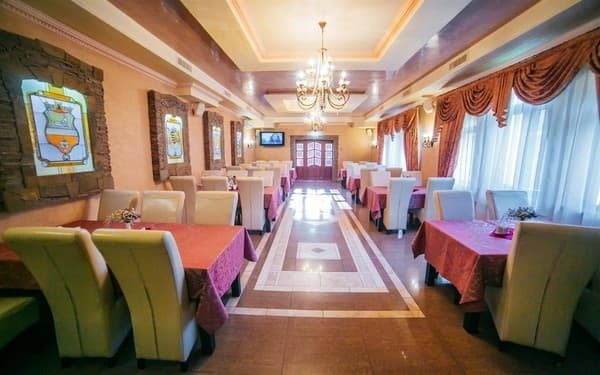 The cozy restaurant, decorated in pastel colors, offers traditional European and Ukrainian cuisine. 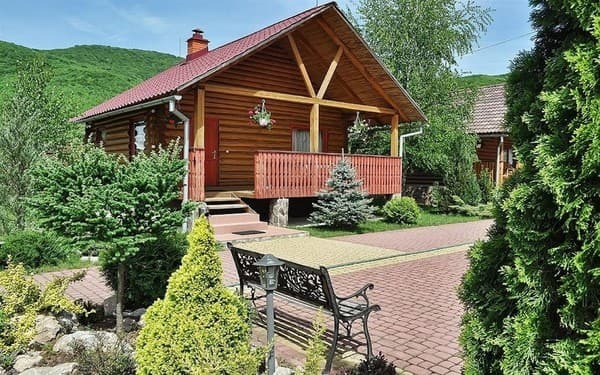 If desired, for the hotel guests can organize excursions to Transcarpathia, hiking in the mountains and woods. For young visitors there is a children's playground. In addition, on site, there is a summer swimming pool, a brazier, a volleyball court, a Russian sauna and a guarded parking lot for cars. 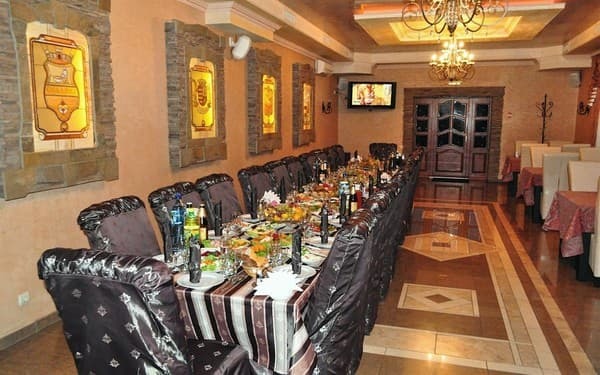 The distance to the nearest ski lift is 50 m.
Description of the room: The total area of ​​the room is 15 sq.m. The room is made in light colors and is equipped with a comfortable double bed. Description of the room: Room is equipped with a comfortable double bed. There are rooms with a balcony, specify the value of the booking. Description of the room: The room is equipped with a comfortable double bed. It is possible to deliver an extra seat. Description of the room: The room is located in a new building, has a balcony with a view of the mountains. "Suite" consists of two rooms (living room and bedroom), equipped with comfortable furniture. The room has two double beds, and for storage of personal belongings is designed a roomy closet and bedside tables. It is possible to deliver an extra seat. 1. С номера прекрасный вид на горы 2. Рядом протекает горная река. 3. Поблизости находится бювет с минеральной водой. 4. Удобный подъезд для авто. 5. Охраняемая парковка на территории. To deliver extra space there is an opportunity in the rooms of the category "Two-room suite" and "Cottage". The cost of extra bed is to be specified at the time of booking. 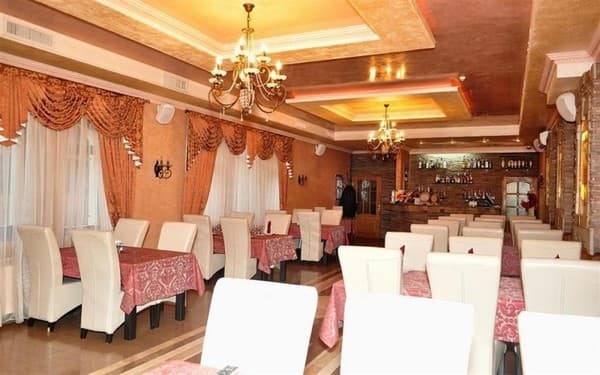 On the territory of the base there is a restaurant where you can eat. 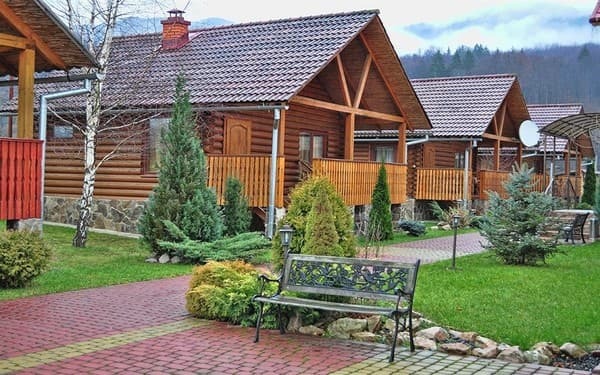 The recreation center "Eldorado" is located in a picturesque corner of sunny Transcarpathia, near the sanatoriums "Kvitka polonini" and "Krishtalevo dzherelo." The distance to the nearest ski lift is 50 m.
From the railway station Svalyava you can take a taxi or order a transfer to the hotel.